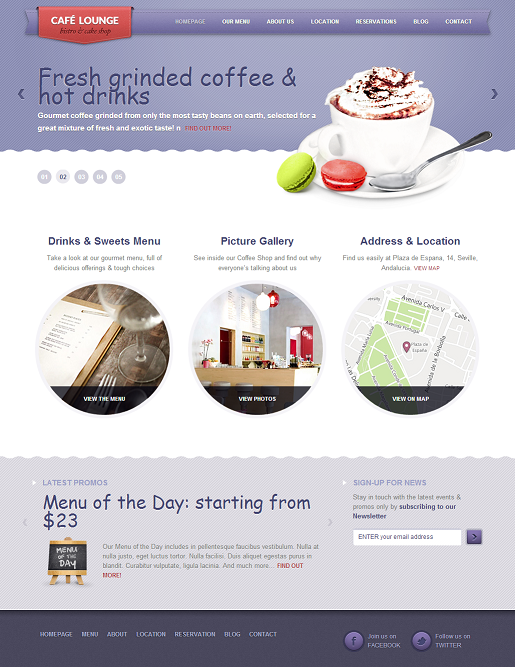 Coffee Lounge is a perfect template for anyone who owns a coffee shop, bar or bistro and wants their website to make an amazing impression on their visitors. Or better yet, leave them drooling over the offerings. Features include menu card, reservation contact, photo gallery, testimonials, scrolling featured dish and more.